NBA 2K13 on Nintendo Wii U introduces advanced features for the gamepad including play calling on-the-fly, touchscreen substitutions, and full in-game analysis and stats charts when playing MyCAREER mode. Additionally, monitor your players' energy levels and dynamic hot/cold zones with the Gatorade Biometrics Scanner. 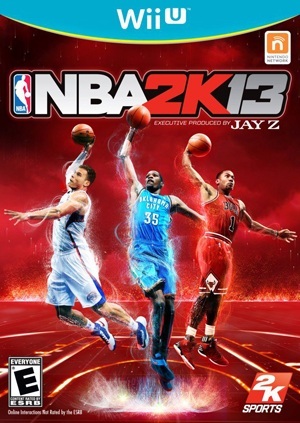 NBA 2K13 has arrived on Wii U! Get pumped up by watching the Wii U Launch Trailer!